- For auditions, please sing ANY brief "cut" (portion) of ANY song by ANY character in ANY key that you like -- 60-90 secs max. - Download/buy sheet music here (or find it elsewhere), and bring the printed sheet music with you in a easy-to-use binder for the pianist to play while you sing/act. - You should only prepare a 60-90 second cut of a song - you can do two songs, if they total 90 seconds or less. 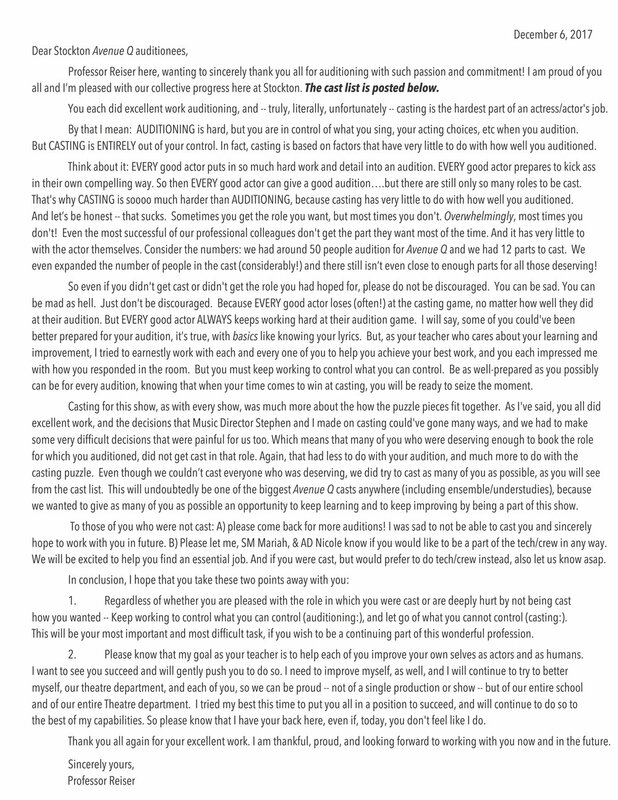 - You will not do scenes or monologues at initial auditions -- specific scenes will be provided if you are called back. - You will not do puppet-work at initial auditions -- the cast will be doing a puppeteering master class in the Spring with a performer from AVENUE Q on Broadway. 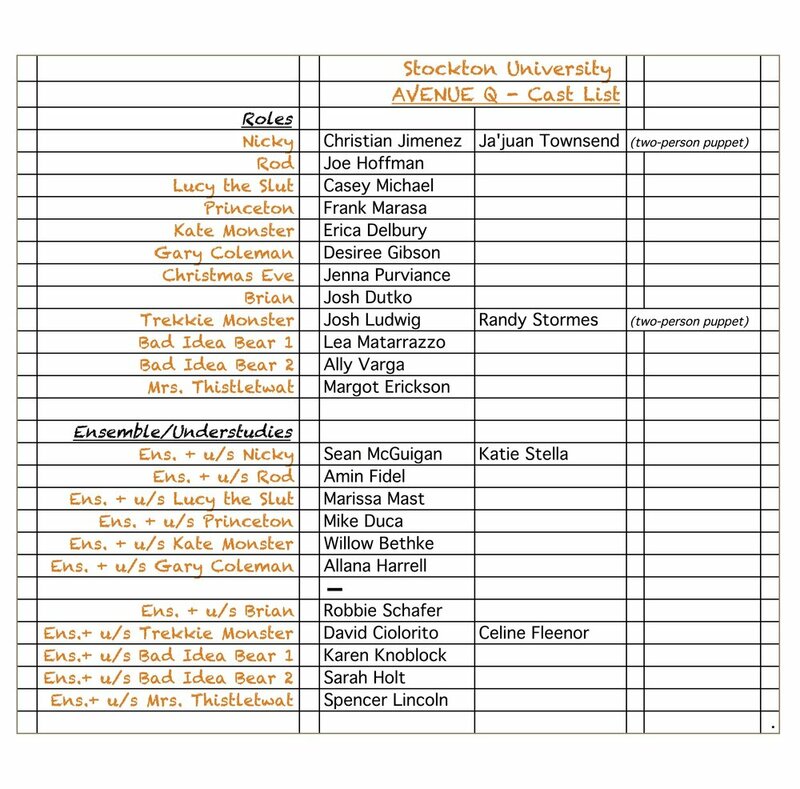 - If you are "called back" for the next round of auditions, you should prepare the specified callback material, which will be posted here (online) the day after initial auditions. - **YOUR AUDITION GOAL SHOULD BE** to sing/act in an engaging, natural style. You can be animated, but be yourself; have fun, but have honest moments. So there's no need to do over-the-top "character-y" voices -- even the puppets who live on Avenue Q are still supposed to be "real" people, so I will inevitably ask you to sing/act more simply and realistically.